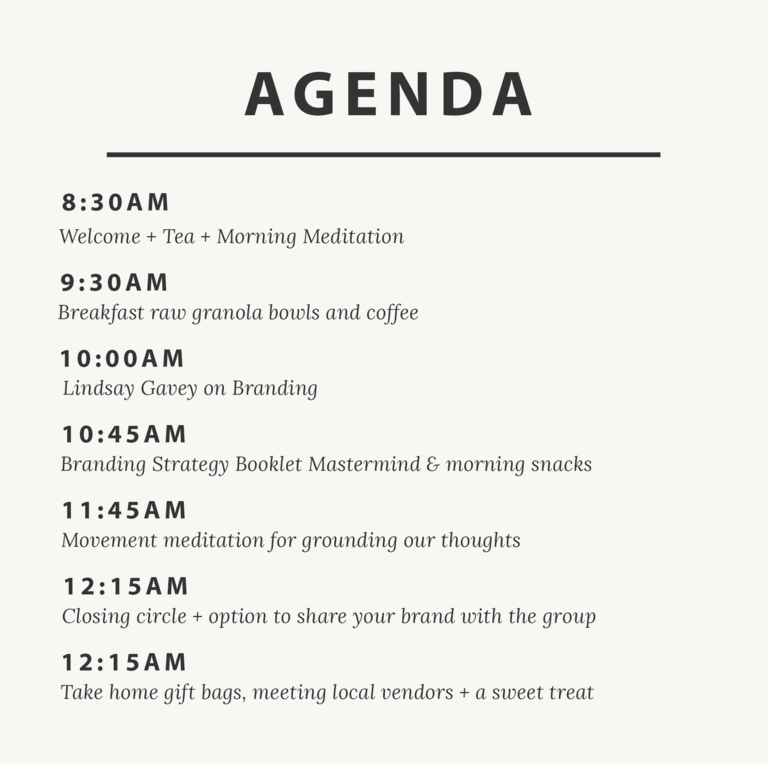 This event‍‍‍ gives you the space to intentionally reconnect with the true purpose of what you are bringing into the world, redefine it if needed, and actionably integrate your true purpose into your business brand. We're so happy you're joining in! Check your inbox for a special treat. As Brand and Marketing Strategy Director at Banfield, one of Ottawa’s largest and long-standing Marketing Communications agencies in Ottawa, Lindsay develops and oversees all elements of brand development and messaging for Banfield’s local, national and international clients. She has worked with high-profile brands across a broad range of sectors – public, nonprofit and private – including arts and culture, health, fashion and beauty, tourism, utilities and electricity, automotive and telecommunications. Briya Freeman has been facilitating courses in meditation, modern spirituality and natural living since 2011. 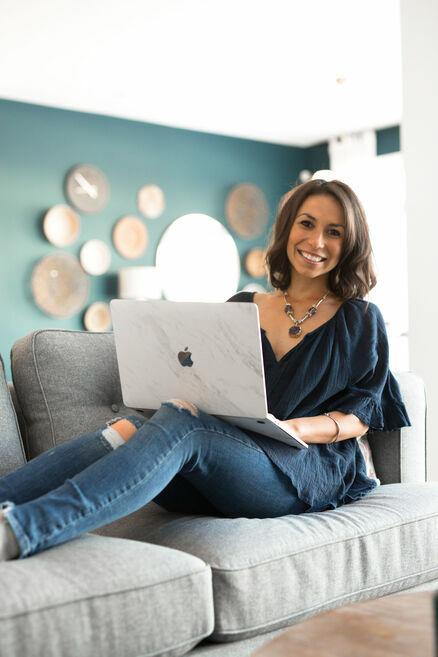 She is the creator of The Bloom Project, an 8-week online course in self-care and radiant living for women. As a speaker and facilitator, she is known to be refreshing, engaging, inspiring and real. Briya’s work focuses primarily on promoting meditation and spiritual awareness as platforms for greater health, creativity, fulfilment and social impact. She offers workshops, courses and personal coaching in both private and corporate settings, as well as online. Briya holds a Bachelor’s degree in Commerce from the Telfer School of Management and over 15 years’ of practice in yoga, meditation and mind-body healing. Her primary inspiration comes from her long-term mentorship under the guidance of Berdhanya Swami Tierra, a female mystic and shaman of South American origin. Her work has also been published in Ayurveda Mantra, an international magazine promoting natural health and higher awareness. 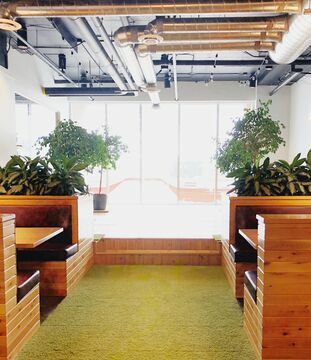 You'll be welcomed to the beautiful "park" space of Pagecloud's headoffice in downtown Ottawa. Filled with fresh trees and flowers, comfortable seats and a view of the Ottawa Byward Market. ‍‍‍The food we have planned for the day includes a full vegan vegan menu. You'll be welcomed with high quality teas and locally roasted coffee. After our morning meditation, you will enjoy freshly made raw granola bowls and variety of dairy-free milks. We'll be offering a savoury mid morning snack to keep the energy high, and finally you'll leave home with a special sweet treat. Ana is following a vision to create a business, and by extension a world, that is rooted in cultivating and spreading joy. This vision of joy has inspired her to capture the simplicity and beauty within daily life as an international food photographer and recipe development. She has published an international cookbook developed with the concepts of colortherapy and mindfulness. Ana is the founder of Wmnhood an organization which strives to empower upcoming female leaders beyond simply reaching gender parity, with a curriculum built on co-creation and bringing forth ancient wisdom into traditional leadership. Alongside, Ana is the co-founder of Hive Canada bringing to Canadian Leaders access to an ecosystem of over 2,000 leaders striving to create a better world, and bringing to life a 3 day Global Leadership Program in Montreal offering clarity and community to leaders committed to creating social good. Previously, Ana worked for the Canadian Federal Government supporting Small Business and Entrepreneurial programs. Ana is a graduate of Economics from the University of Ottawa and is striving towards certification as a Law of Attraction Practitioner. Ana endeavours to harness and share her capabilities to manifest the joy that can be found around us through her thoughts, actions and pursuits.